A week ago I was Desperately Seeking Susan's Parents. For years I struggled to identify my third great-grandmother Susan Day's parents. I knew she was born in Nova Scotia in about 1843. Her daughter Margaret, who was the informant on her death certificate, couldn't remember Susan's mother's name and thought her father was John Day. For years, the name John Day had guided and stymied my genealogical investigation into the identities of my fourth great-grandparents. Unfortunately, Nova Scotia did not keep civil vital records in the 1840s, so I wasn't going to find a civil birth registration for Susan that would lead me to her parents. I was fortunate to have an alternate set of records at my disposal: church registers for baptisms and marriages. Nova Scotia has a fairly robust set of digitized church records dating for some areas to the early 19th century. Perhaps I could find a marriage or baptism for Susan. The September 18, 1866 civil birth registration for Susan's first child also included the date and location of her marriage to her husband Thomas Stevens. The date was a bit of a risque puzzlement. Was I reading it correctly? Thomas Stevens and Susan Day marriage excerpt from birth register for son Thomas Stevens Jr. According to this record, Thomas and Susan were married on June 21, 1866 in Halifax. Yes, you read that right. According to this birth register they were married on the summer solstice just three months before the birth of their son. Okay, so she was pregnant when they married. This is a judgment free zone! With an exact wedding date, I should be able to find their nuptials recorded in the church register. An 1871 Canadian census told me that the family was Catholic, so I could further narrow my search to that denomination. Disappointingly, the hunt for a wedding on June 21, 1866 came up empty-handed. I was stumped. My efforts to locate Susan's 1840's baptism also proved fruitless. I was stalled, so I did what any good genealogy blogger would do: I wrote my way through my conundrum and shared it with the broader family history community. I posted the blog to the Nova Scotia Genealogy Facebook group where tips and recommendations immediately began to pour in. "I would go through these St. Mary's Basilica records page by page. Don't just look for Susan, but for the parents in case you find siblings while you look." She was right. I knew better. I should have reviewed the entire register page by page. I foolishly let the exact marriage date on the birth register stifle what should have been a more reasonably exhaustive search. One year and four months after the birth of their son, Susan Day and Thomas Stevens were married in St. Mary's Basilica in Halifax. They were married in the church on January 27, 1868. The marriage was not registered with the civil authorities. Perhaps they avoided that duty because their son was born out of wedlock. Susan Day's parents were Robert Day and Mary Ann Warren. This information was quickly corroborated by a handful of wonderful descendants of Robert and Mary Ann (Warren) Day who had long-wondered what happened to daughter Susan (Day) Stevens. Susan's father was Robert not John. Daughter Margaret's memory was mistaken and led me astray for years. Well, that and the fact that Thomas and Susan fibbed about the date of their marriage after having a child out of wedlock. But let's let bygones be bygones and revel in the discovery of my fourth great-grandparents. In fact, there's more good reason to celebrate. A distant cousin recently pointed me to the marriage record between Robert Day and Mary Ann Warren, which gave me the names for their parents - my fifth great-grandparents. 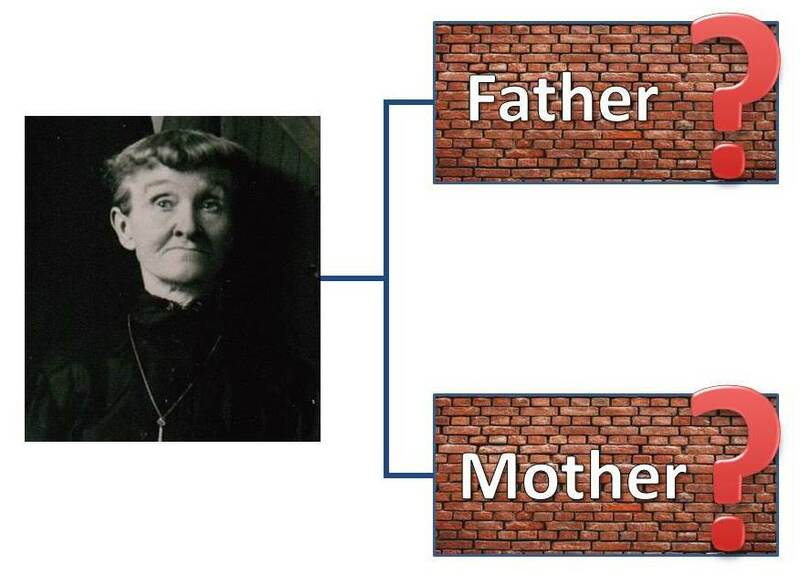 In the span of a few hours, a handful of genealogists helped propel my research down the correct path, torpedoing a brick wall that gave me the names for two generations of my ancestors (that's six new direct ancestors, folks!). I now have an entire clan of people that I'm excited to get to know and quite possibly grow their pedigrees. 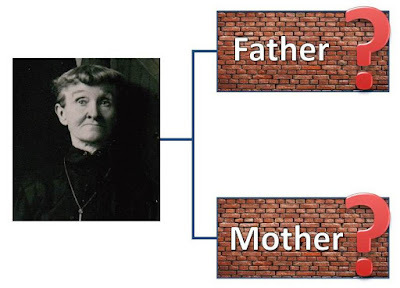 Standing on the rubble of this brick wall, I can confidently say that the joy of this discovery and the new avenues of impending research was worth the years-long effort to identify Susan's parents, almost. You better believe it, Linda! Thank you! I'm glad you put "maybe" in your reply. You probably remember the year Jenn and I karaoked "Baby Got Back". Not one of my finer moments. Horrified your Grandma. Thanks a bunch, Schalene! I appreciate it. I am so excited for you, Michael. I can imagine you dancing away on the pile of bricks. 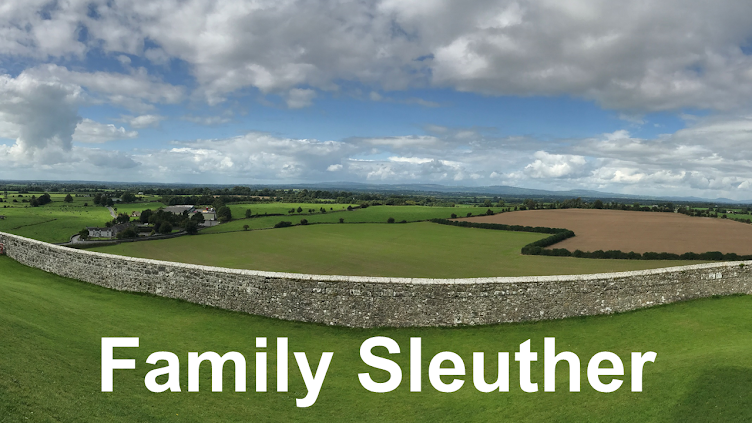 I can't wait to hear you've found the keys to the doors in the next wall and will open them to find the third generation and eight more direct ancestors. July has been a very good month for breaking through brick walls. I haven't blogged it yet, but I just learned the parents for Susan's husband Thomas. There's a whole slew of folks to plug into the family tree and write about. I'm definitely feeling victorious standing on the rubble of both brick walls. Great news, Michael! I am happy for you. And it sounds like Susan was way ahead of her time; today people seem to buy a house together, then have a baby, and then get married. Thank you, Amy! She certainly was living a progressive lifestyle although likely not desirable nor intended during that era.